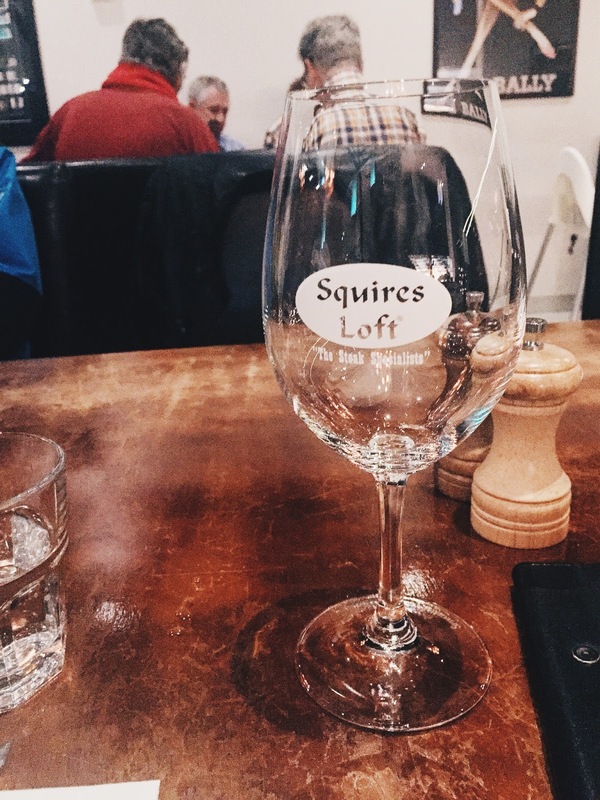 Squires Loft specialises in steaks, and after my mum went there for a work dinner, she enjoyed it so much that she decided to take us there too. Actually, this is our second attempt to visit, because the first time we didn’t make a booking and well, let’s just say that you should always make a booking, during dinner time at least. The blend of dim lighting, leather chair, and wooden tables created a low key, but still sophisticated atmosphere, perfect ambiance for a date in my opinion, just not the first one haha. 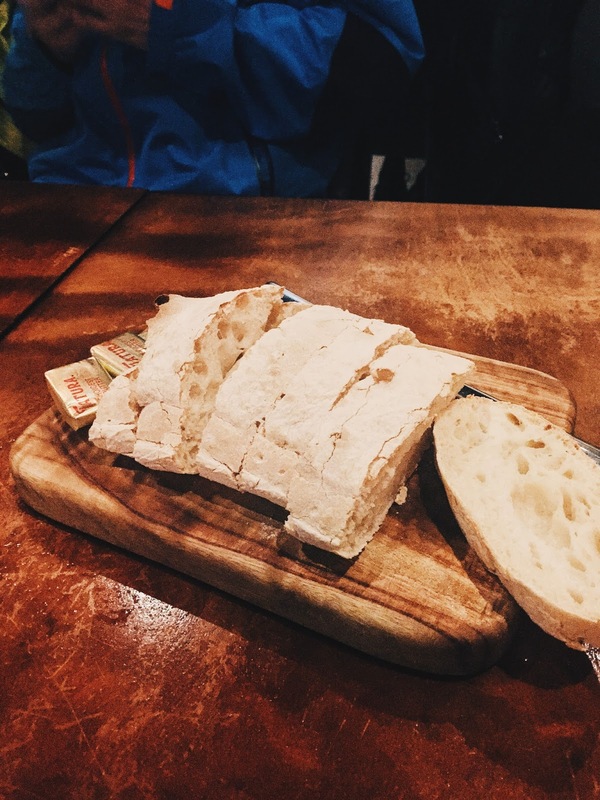 When a restaurant has complimentary bread on offer, they win some instant brownie points from me. Especially if the bread is slightly chewy and warm, allowing the butter to melt into its crevices. Because there was seven of us, we decided to just go ahead and order the Entree Platter to share to make things easier. 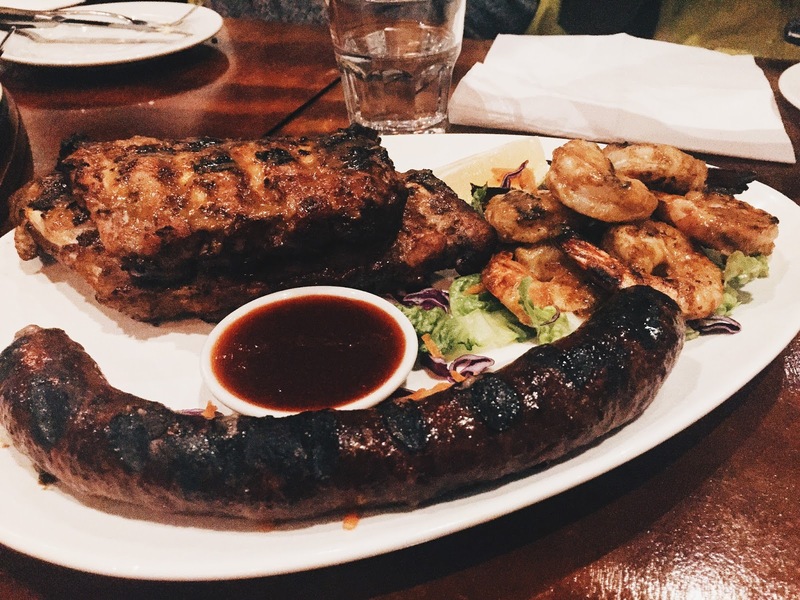 The grill tiger prawns were succulent, the pork ribs were falling off the bone, the Boerewors, a type of South African beef sausage, was something that I’ve never tried before. It was fatty and satisfying, with a crispy exterior from the grill. My favourite out of the whole platter though, was the baked garlic mushrooms with feta. The button mushrooms were filled with feta, and baked until the feta is slightly melted; the saltiness of the feta went perfectly with the earthiness of the mushrooms. Being a steakhouse, it was no surprise that there was various cuts on offer. 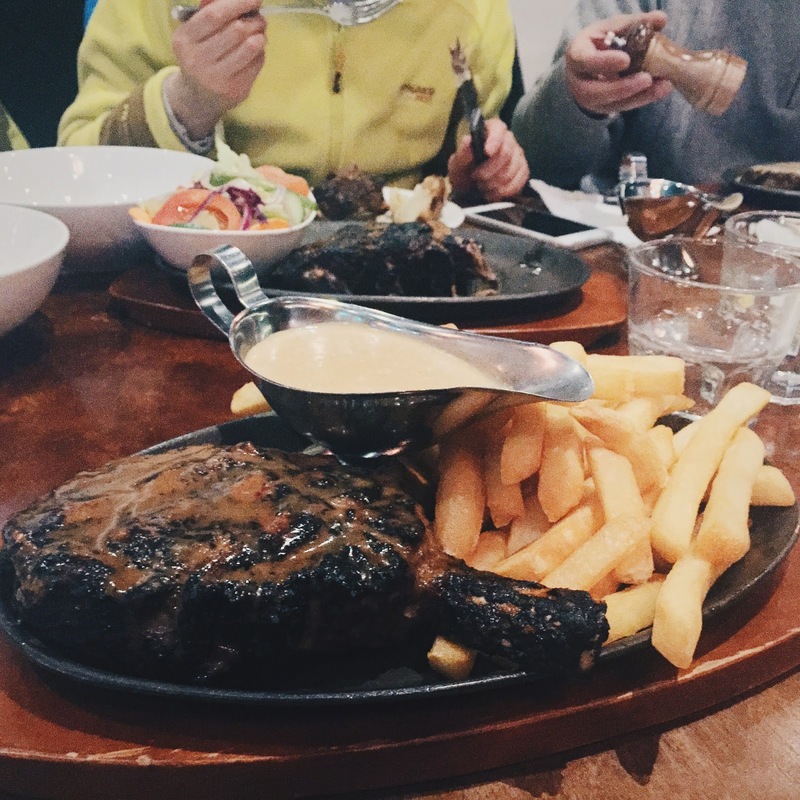 I went for the rib eye on the bone, as I wanted something that is quite tender and juicy, with a high marbalisation for that beefy flavour. And this piece of steak ticked all the boxes, I asked for it medium rare, and it was exactly that. It was covered in Squires Loft baste, but the addition of the creamy garlic sauce took the steak to the next level, not to mention that it meant I had a sauce for those golden and fluffy chips too! Everyone ordered something different from the menu, and they were all happy with their meal. Squires Loft is definitely a promising steak restaurant, unlike some of the other ones I’ve been to, and with its proximity, I can see myself returning whenever I’m feeling like some steak! Squires Loft is located just outside of Brand Smart Nunawading, a ten minutes walk from Nunawading Station, which is on the Belgrave and Lilydale train lines.